As someone who is known to enjoy a little staycation from time to time, I am always on the lookout for hotels where I know that I will get as much of relaxation time as I can. Attentive staff, in house restaurant and bar, room service, decor, every little amenity helps towards that perfect staycation. A huge bonus point is when the hotel has a spa because of course, nothing says relaxation better than a spa. From my experience I have realized one thing, spa hotels are not easy to find in London. You either have to pay a steep price in return for limited facilities or travel out of the city for better luck (like I did last time with Penyhill Park). Last month, I was pleasantly surprised to find out that I was wrong and that there is, in fact, a place that covers all the criteria. 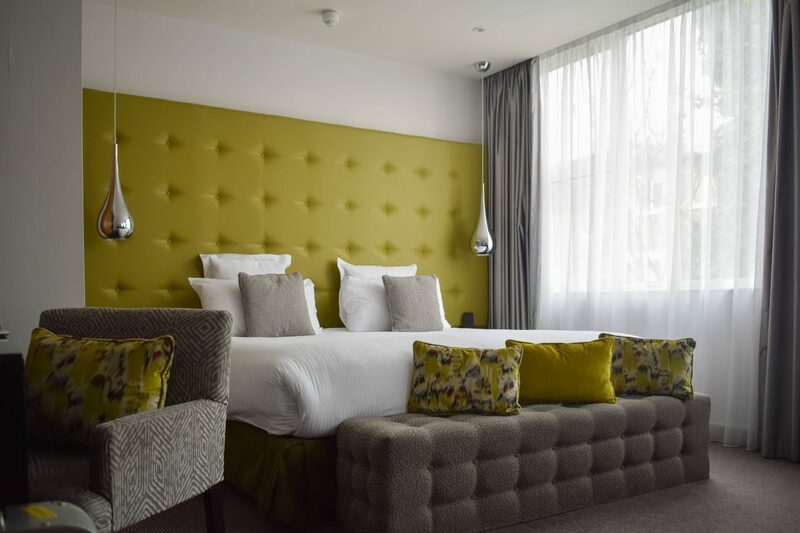 A quick 12 minutes tube ride from Oxford Circus, in the area of Shepherds Bush, is the K West Hotel & Spa which not only features great spa facilities without breaking the bank, but its also within walking distance to Westfield shopping centre (the largest shopping centre in Europe). Once the home of the BBC Kensington House, K West Hotel & Spa has a music heritage that is very proud of. Legends like David Bowie, Amy Winehouse and Bob Marley have all played here and they have definitely inspired the rock and roll vibe of this 4* Hotel. I am talking murals of artists, memorabilia from its music past and even the “Glam Rock Afternoon Tea”, a rock and roll themed afternoon tea where you can enjoy drinks like the “Marc Bolan-inspired Tea Rex” or the “Bob Marley Born to Rum Cocktail”. But fear not, if you are not a fan of this particular genre of music (like me), you are still in for a good time! The design does not overwhelm and the overall atmosphere of the hotel is very laid-back and friendly. 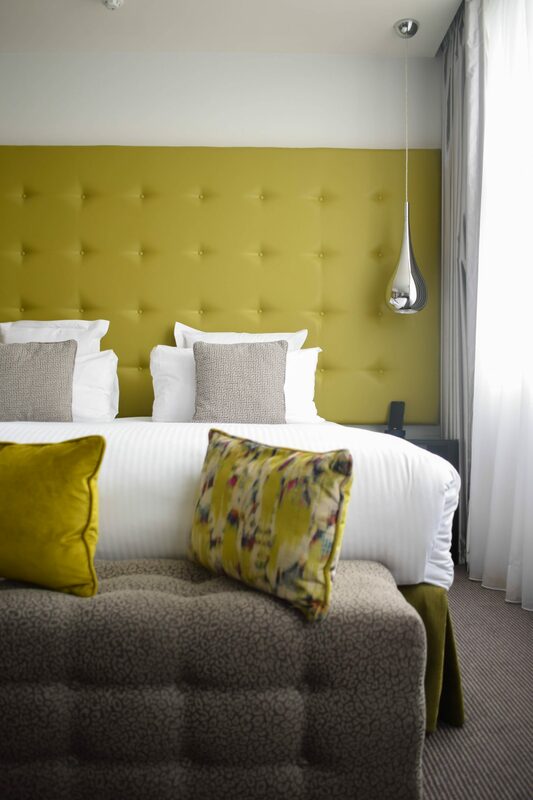 The hotel has 219 rooms, all decorated similarly with a mixture of bright colours and toned town greys. 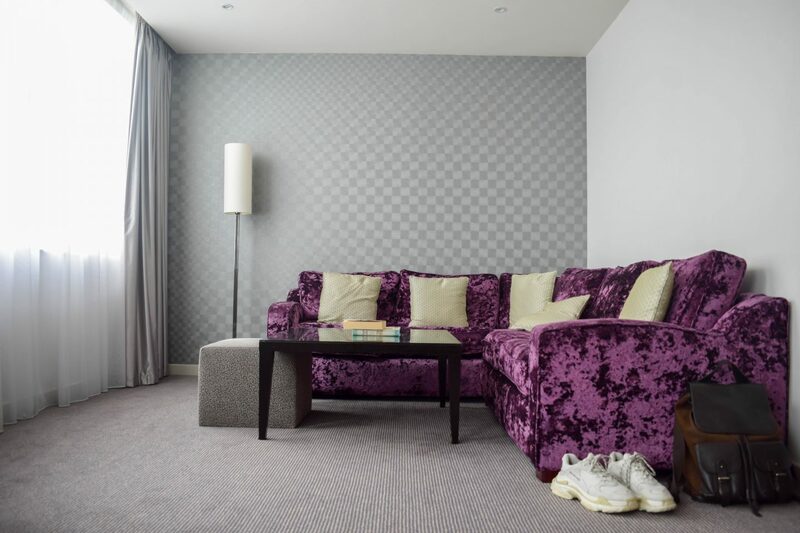 In my visit, I was given a Studio Room which was very spacious and even had a huge corner sofa. 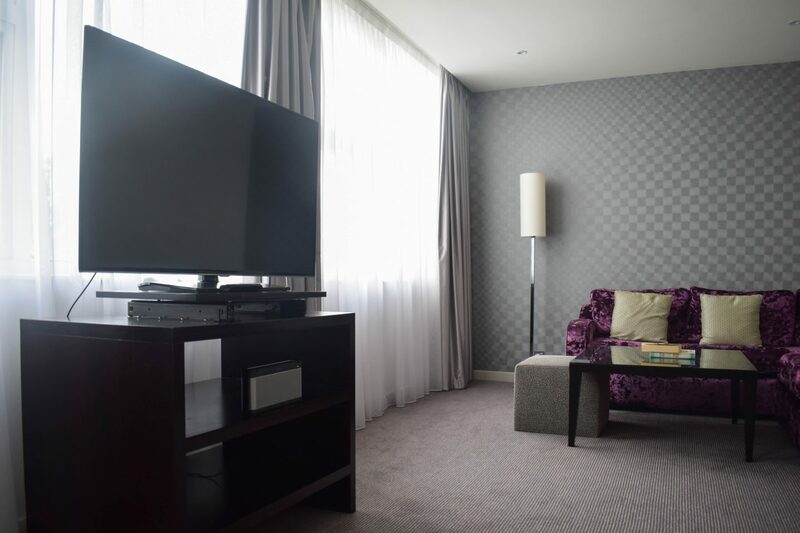 Other in-room amenities included a Nespresso machine, The White Company bathroom products and the biggest TV I have ever seen in a hotel room (48 inches!!). K-West clearly takes your entertainment very seriously. All guests can also enjoy the latest gadgetry in the rooms including a Handy-smartphone and a Smart Tablet for their disposal. 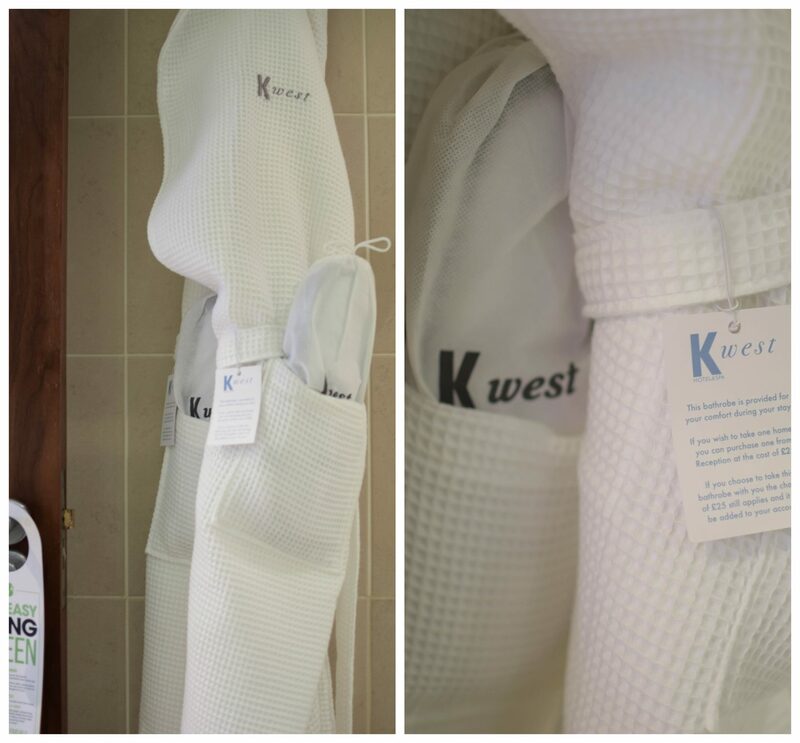 The Spa is undoubtedly the best feature that the K West Hotel has to offer. Unfortunately, during my visit, the spa was closed for renovation but I have been informed that it has opened since then. It includes sauna, sanarium, steam room, foot baths, a Hydrotherapy pool as well as London’s first Snow Paradise (which I am guessing is similar to an Ice Igloo). 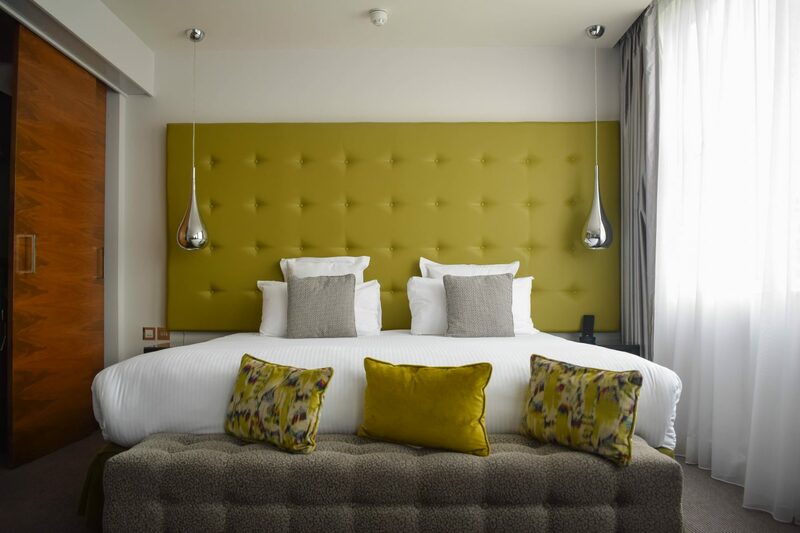 The hotel offers a gym, a restaurant, serving everything from fish and chips to pasta to burgers, and the Studio Bar which is a popular destination for the area as its open till late on Weekends and even has a live DJ. Overall; I had a very pleasant experience at K West Hotel & Spa. The staff was very friendly without being oppressive and the hotel has a very lively atmosphere at all times which was surprising to see considering it is nestled on a quiet road. Obviously, I was very gutted that I didn’t get to experience their Spa facilities but that is what second times are for.